The Low Loft Bed (Space Saver) is designed for you to make the most of your valuable bedroom space. Especially if your ceiling height is restrictive, as it would be in an attic or loft bedroom. With the Low Loft Bed, you will not have to compromise on the modern and sleek design of the luxury handmade bed frame. This enables you to get the perfect bedroom while working within tight space restrictions. Living up to its name, the Low Loft Bed is one of the lowest beds amongst our range of wooden bed frames. Ideal for tight spaces and low ceilings, similarly to Tatami Beds, this wooden frame is designed to be a perfectly snug fit in areas where space is limited. However, not only is the Low Loft Bed great for maximising space, but the wooden bed frame is likewise suited to those looking for an element of tradition and culture in their bedroom. We’ve designed our wooden Low Loft Bed (space saver) frame with efficiency at its core. 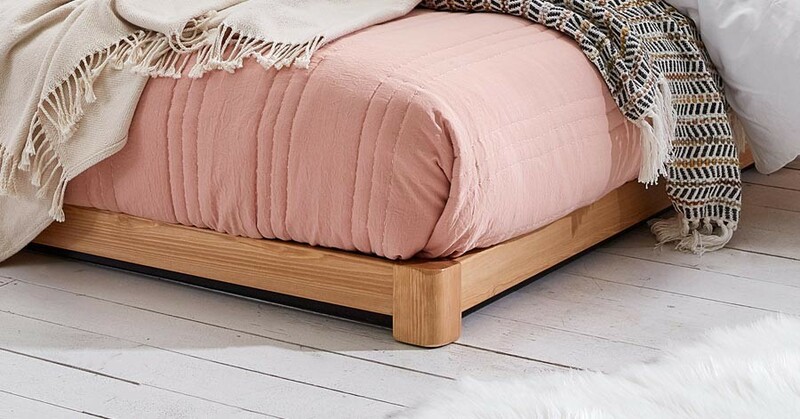 Our Low Loft Bed (Space Saver) is available for you to personalise by choosing from our variety of luxury finishes to compliment the Solid Scandinavian Pine. We are also able to make the wooden bed from our Solid Hardwood option, which provides a more natural look that our customers love. The Low Loft Bed can be ordered in any size from a Small Single to our exclusive 9ft by 7ft Super Caesar. Custom alterations for any of our wooden beds are available. Every one of our bespoke beds can be tailor-made to suit your exact needs and are all made here in heart of the UK. If you require a specific set of measurements or wish to tinker with the design of your Low Loft Bed, then our skilled and experienced team of carpenters will carry this out for you. 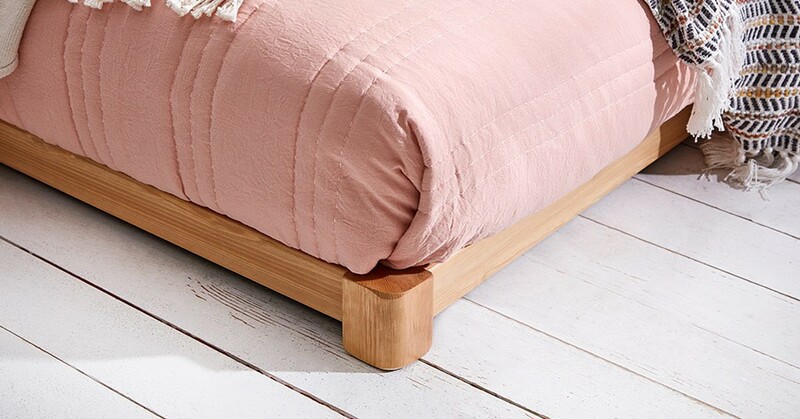 As standard, we provide an 11-year guarantee on all our wooden beds as standard. Our wooden Low Loft Bed (Space Saver) takes inspiration from the Tatami Bed style, combining the stylish designs of the Low Oriental Bed (Space Saver) and the Low Tokyo Bed Frame. 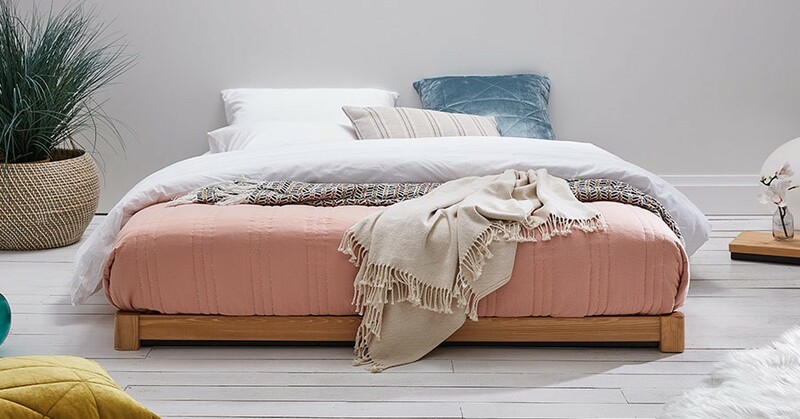 It shares the attribute of minimal height and the unique design of the bed means the mattress sits on top of the frame rather than inside it like it does with the Low Oriental Bed (Space Saver). The Low Loft Bed is designed to make the room appear more spacious, and present a comfortable centerpiece for your bedroom.